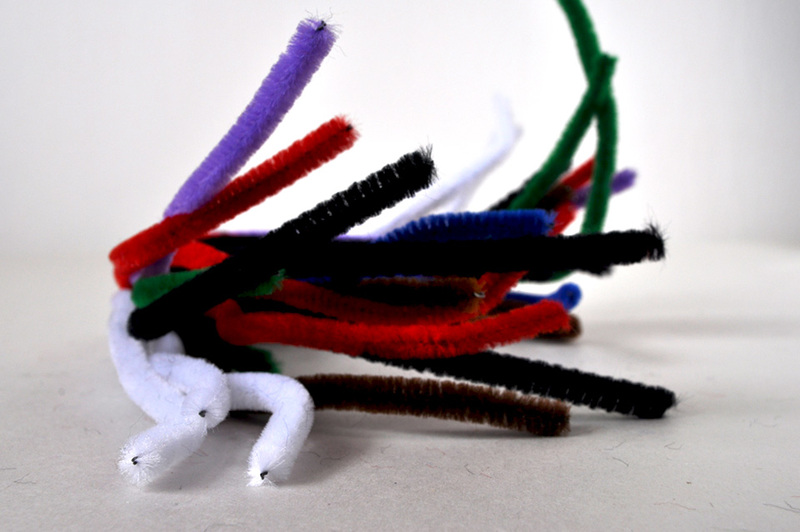 Unlike some items in Obso land, these were not acquired with the intention of making Art. Their dream was much humbler — to be a xmas ornament. 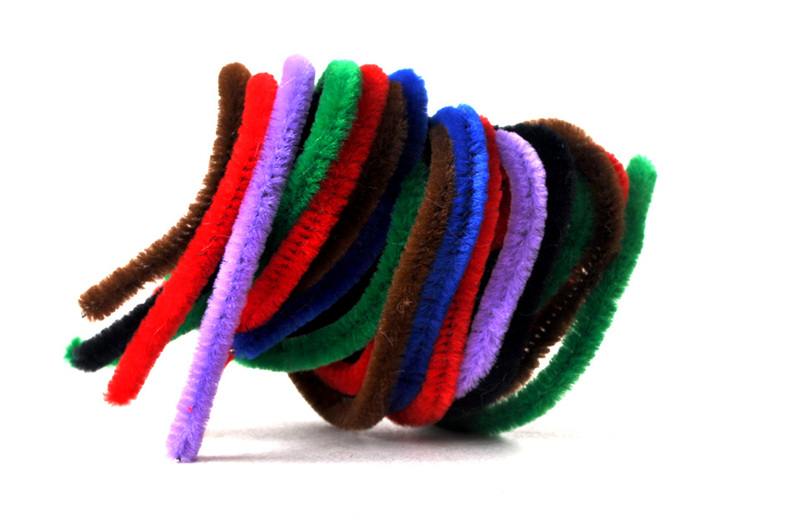 John Harry Stedman invented the pipe cleaner in the early 1900s. He sold the patent to B.J. Long Company, which made him wealthy. A very modest item to gain fortune from. 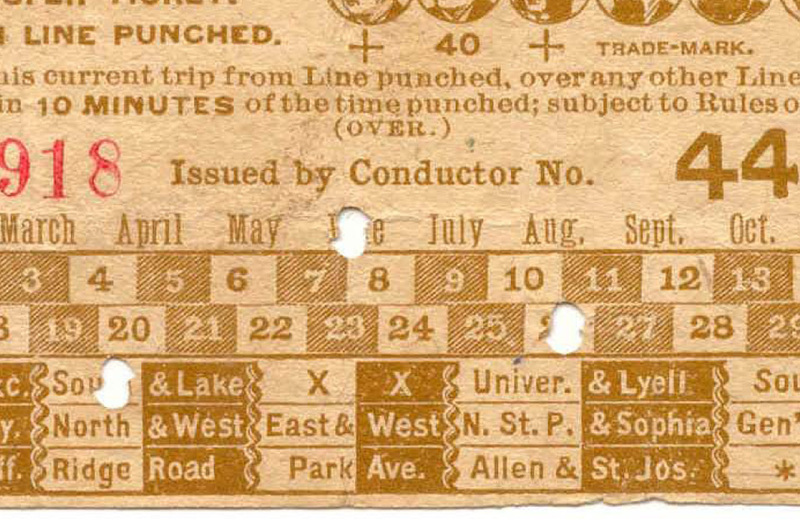 Stedman also invented the streetcar transfer ticket in 1892. Status: One more kick at the can for inventing an xmas decoration full of fun and wonder. 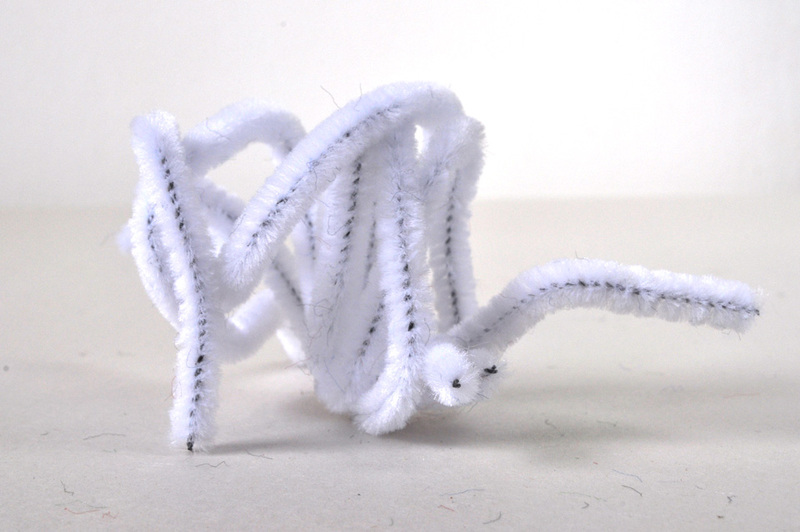 Alt-title: Untitled Object No. 266 For Cleaning Out Old Projects. They are pretending to be spider punks! John Harry Stedman … Ruth Hormats … the inventors are as intriguing as their inventions. Thanks John. I know, I get absorbed by their stories. Love the white on white picture.